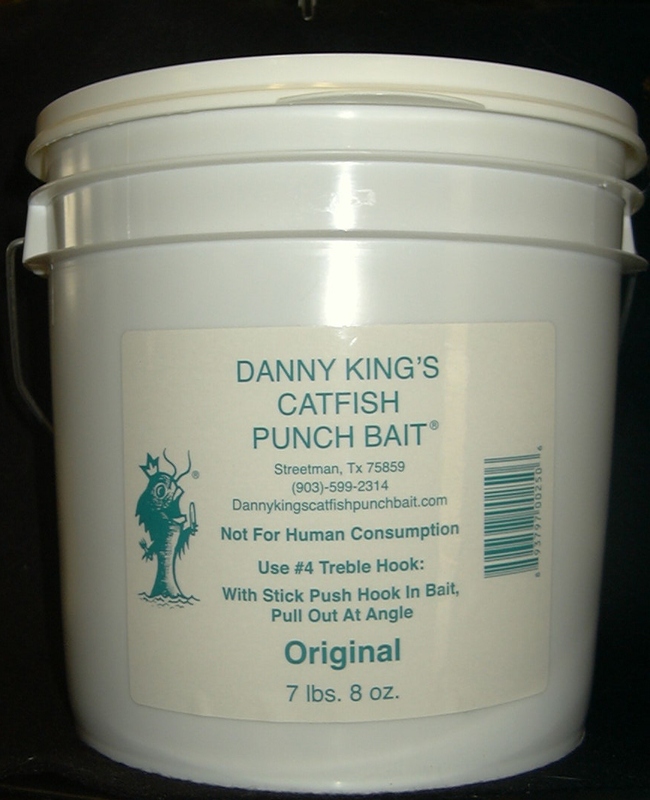 Danny King's Catfish Punch Bait is back! Have you been looking for the best catfish bait ever? Well you've found it! 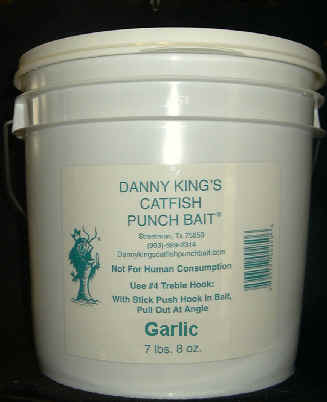 Danny King's catfish punch bait is back in business and better than ever. We have returned to the original formula. This bait is manufactured to Danny's specifications and is hand cooked and hand packed. We produce three flavors of bait: Blood, Garlic, and Original. It will stay on your treble hook (we recommend a #4 or #6) without the use of a sponge or screw. Just punch the hook to the bottom of the container using a "punch paddle" or a stick and pull it out using the line. All the bait you need will be on the hook. No need to touch the bait with your hands! and make your retail purchase online below by what state you live in. Ordering on the website you will get it faster. Contact us if you have a problem. If you want to pick up local click here.